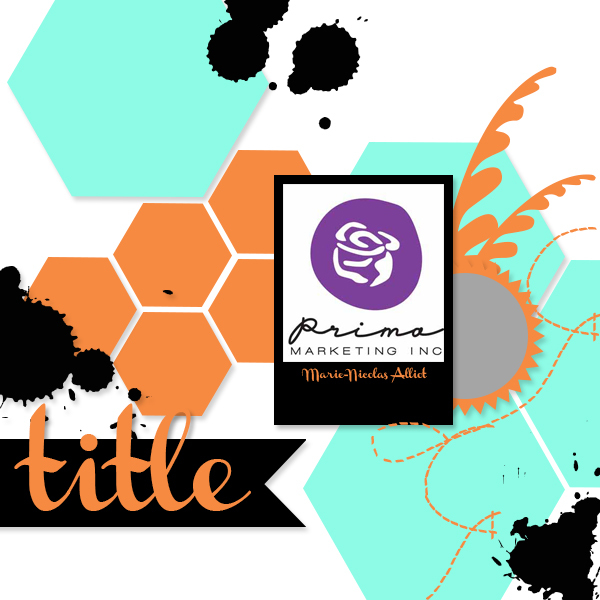 Each month Prima Marketing holds a sketch challenge, called Build a Page. Papercrafters lovingly call it BAP. We love our acronyms. I had fun with this bold design. 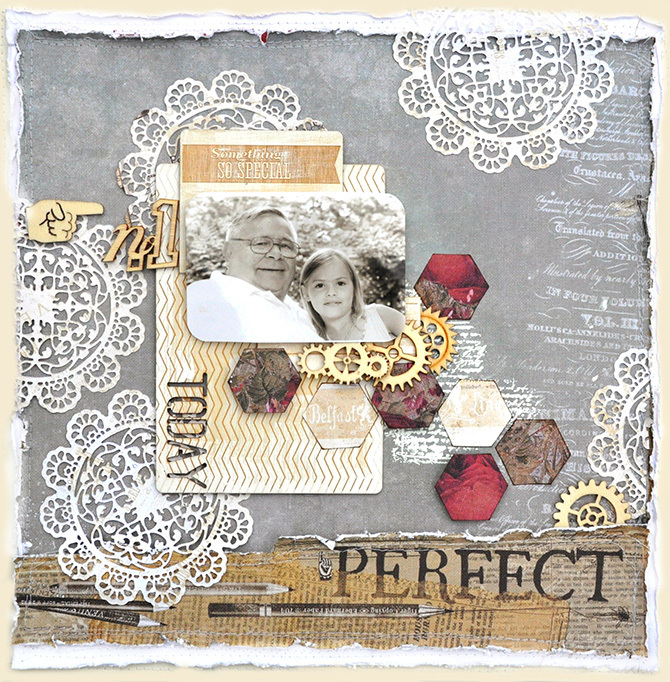 My work is not usually bold so my challenge was to transform the bold into soft and delicate using the new Prima dies. Who says paper crafting doesn't make the mind strong? 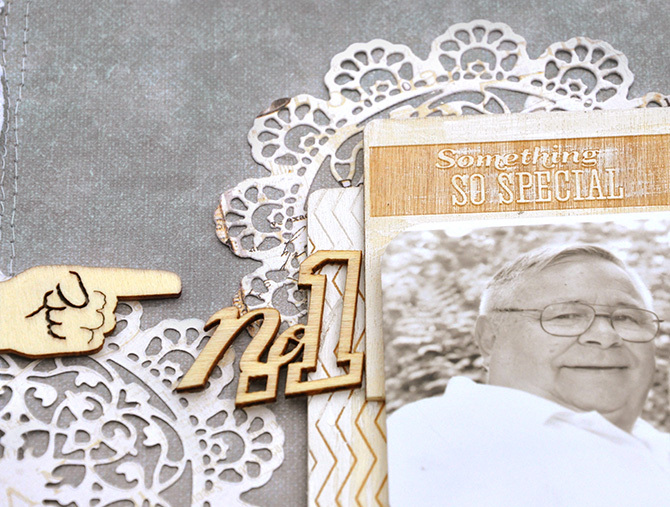 I also had father's day in mind so I created something centered around my dad. My dad is a woodworker so it was fitting I use something wood on the page. My dad is a lot of things actually. 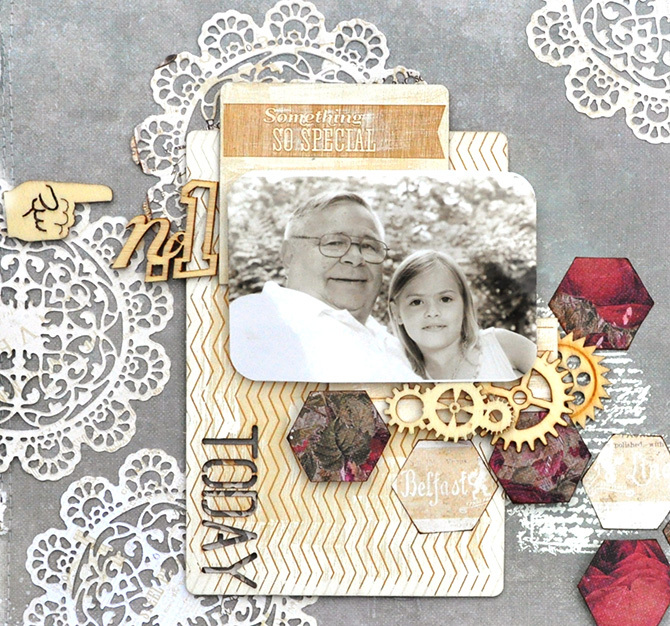 He is a fix-it man and grandpa who adores his little ones. Someone asked why the doilies on his layout? As my dad moves on in wisdom, he is getting more sensitive. Not in a hyper-sensitive way, but more of a gentle caring soul. 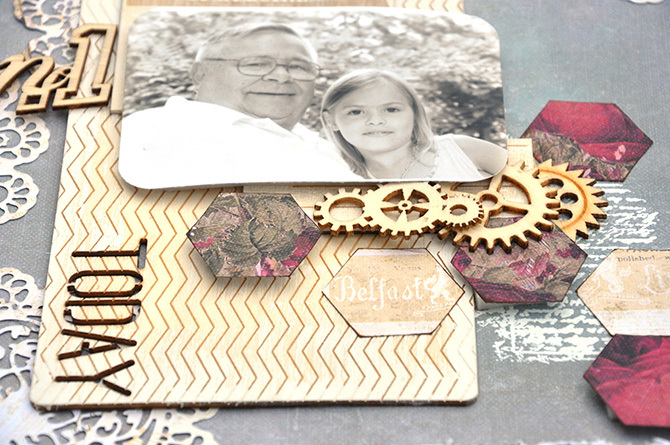 And the wood gears represent so many things on this page. He can fix darn near anything. I remember him getting under the family autos and ripping out, fiddling around and replacing. BAM done. His mind is also in motion on problems and "how-to's" solving some kind of crisis in the home or such. Thanks for stopping. Join the BAP here.